Washington, D.C. - The District of Columbia Financial Responsibility and Management Assistance Authority ("Authority") has transmitted the proposed contract for health care services for uninsured District residents to Mayor Anthony Williams for his consideration and for transmittal to the Council of the District of Columbia for action. 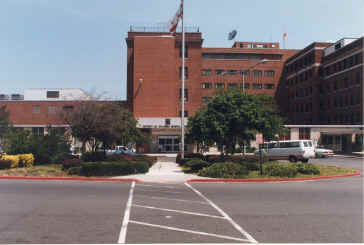 The Authority formally agreed in principle to the proposed contract with Greater Southeast Community Hospital Corporation on April 11, 2001. "We are very confident that the proposed contract will improve access to high quality services for uninsured residents with the added advantage of providing the Mayor and the Council with the information and flexibility to continue further reforms into the future," said Authority Chairman, Alice Rivlin. The proposed contract is the product of a process that began in December of last year when local District government officials and the Authority agreed to solicit bids from the private sector to manage safety net, health care services. The process began as a response to the management and financial breakdown of the Public Benefit Corporation and DC General Hospital. Significant protections for District taxpayers require that; the contractor maintain a performance bond, that payments are made only for delivered services, and the District retain the right to assign any part of the contract to another provider if any party to the proposed agreement fails to perform. Following several months of discussions aimed at building consensus, Dr. Rivlin recommended that the Council respond expeditiously. "It is in the best interests of the patients that have been traditionally served by the PBC, the taxpayers and Home Rule that local elected officials take the necessary steps to support the implementation of the proposed contract as soon as possible." Program enrollment and data management. District residents without health insurance coverage whose family income is at or below 200 percent of the federal poverty level. Volume Adjustments: Contractor may adjust the volume of services provided across service categories depending upon the needs of the eligible population, subject to the total value of the contract. For example, reducing hospital admissions by five percent (5%) of the contracted amount will permit a twenty-five percent (25%) increase in primary care services under the Contract. The volume of care purchased through the Contract will be adjusted periodically based on actual experience and expansions in insurance coverage for the eligible population. Cultural Competence The Contractor is to develop a plan to educate, monitor and evaluate the cultural appropriateness of outreach and health care interventions. Contract Limitations: Subject to requests for services, the Contractor is obligated to provide health care services to eligible residents up to the value of health care services specified in the Contract. Maintenance of Effort: The Contractor and subcontractors are required to maintain their current level of services to uninsured District residents as a condition of receiving compensation through this Contract. Financial Protections: The Contractor is obligated to maintain a performance bond equivalent to two months of payments under the Contract. In addition, funds advanced by the District will be maintained in a segregated account and are only to be disbursed for the purposes specified in the Contract. Contractor is to indemnify the District for Contractor's negligent acts. Standards have been established for timely payment of subcontractors. Reporting Requirements: The Contractor is required to provide monthly, quarterly, and annual reports regarding volume, costs, quality, and access to services, as specified by the District.